It is always important how writers organize their social media. Writers of today are busier than they ever were, and if you know anything about social media, then you know how demanding it can be. Most every writer has an established goal, is creating a brand, and knows what type of reader that they attract. The very best way to manage your writing career is use your supreme organizational skills in managing your social media accounts. It is also a good idea to always be on the lookout for better way to employ social media. There are always more effective and more efficient ways out there. You really need to get your social media activities down to a finite amount of time each day. 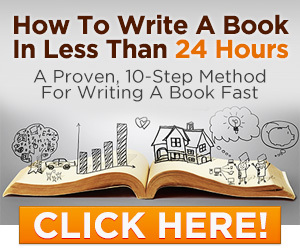 Some writers may devote 30 minutes or even an hour each and then get back to their real job – writing. Let us check out some ways make your social media activities more manageable—and perhaps even more enjoyable too. I have found just a normal desk organizer to work great for social media activities. This is a great way to manage things like blog post and guest blog postings. This is also where you keep track of personal things like vacations and holidays —so that you will not miss any important social media appointment – they are very important because they are part of your brand. There are several great tools out there, so we would be foolish not to take advantage of them. Many people I know will often sit down and schedule an entire month of tweets or fanpage posts in one sitting. Wouldn’t it be nice to have it all done for a whole month ahead of time? One of the best things you can do is set up a feed reader like Feedly and follow the good writing blogs and writers who have helped your writing career. Do not be afraid to share and comment about tools and techniques that have proven to be very valuable to you. These are the very best things to share on your social media. Always ask yourself about the things your readers are most concerned about. What are the kinds of things that they would value and share with their friends? You will never go wrong from sharing content this way. It will almost always connect with your followers on social media. This is the sort of place that you store your ideas about social media. Do not forget that images and videos are a big part of the social world. In fact, several studies have shown that they are even more popular than text on social media. So feel free to use them liberally. But whenever you get new ideas about what you would like to share, get in the habit of placing your notes somewhere for later. Personally, I like using a spreadsheet to keep my ideas. I know lots of people who use Notepad or Evernote for this purpose. Spreadsheets are something I like to use for everything. I treat it like a big notebook to organize all of my plans and ideas. So I can recommend them enough. I like to treat each spreadsheet as a “project” and then use the tabs within the spreadsheet as different elements of that project. The great thing is today everyone has access to free spreadsheet usage simply by signing up for a Gmail account. I urge you to take advantage of this if you haven’t already. As hopefully you have seen from this article that it is important how writers organize their social media.